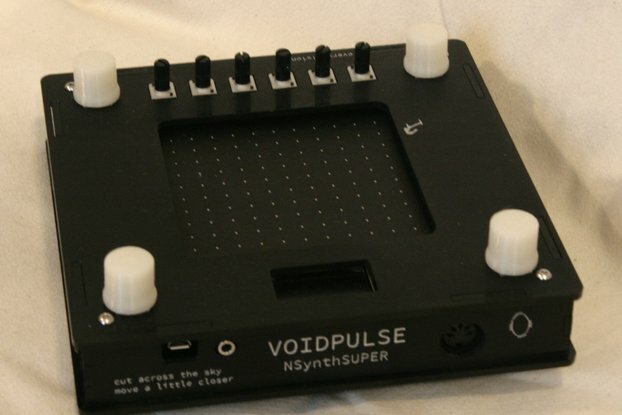 This is a fully assembled Open NSynth Super experimental MIDI instrument. Ready to ship ASAP! The PCB is white solder mask with black silk screen. The case is orange/magenta acrylic. 16GB 'lite' image pre-installed and ready to go. This unit is a spare from when I assembled one for my use. 2) I ran out of 3D printed plastic knobs - the example design is on the Github and can be easily ordered from an online print house. The unit works fine without plastic knobs too. 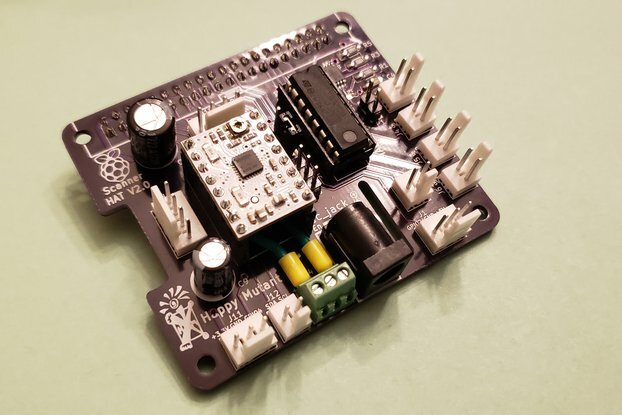 The NSynth Super uses MIDI input and a Raspberry pi to synthesize audio. The four corner knobs select each instrument/voice. The six pot knobs at bottom are used to control the typical synth parameters like Attack, Sustain, Decay, Release and volume. The audio output is on a standard 3.5mm minijack. I have adapted the Bill of Materials (BOM) from the original project (UK-based) to find the parts at US-based suppliers. It is not perfectly optimized, some capacitors are unnecessarily automotive grade for example. But these parts worked when I assembled my Open NSynth Super.